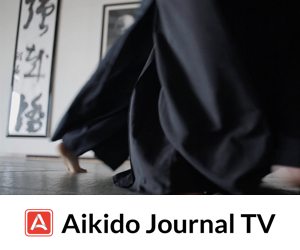 In our role as chroniclers of aikido and Daito-ryu Aikijujutsu we come into contact with a large number of adherents of different styles and approaches to these martial arts. 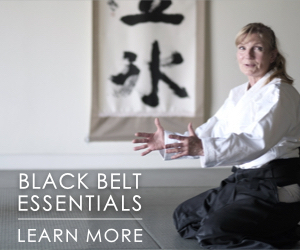 The emphases of the various groups run the gamut from the physical and self-defense oriented all the way to the “spiritually” inclined styles for whom technique is of secondary importance. Despite these remarkable differences, I have often encountered a common characteristic in the mentality of the practitioners of these diverse persuasions. I will refer to it as the “true believer” syndrome. Within the context of these groups, the main teacher takes on almost superhuman proportions and is regarded by members as unparalleled in technical ability and/or spiritual understanding. Although these true believers may not verbalize their conviction of their teacher’s superiority (in fact their opinions are usually expressed through innuendo), their words and manner leave little doubt as to their certainty in this regard. Since my university years I have always had a keen interest in linguistics and, although my formal training in this discipline is not extensive, I have done a bit of reading out of fascination for the subject. One of the neural-linguistic theories enjoying some success in recent years holds that we as individuals have our own highly particularized representational systems that we use for interpreting and interacting with reality. The formulation of these systems is an attempt by individuals to make sense out of their environments, thereby making possible a meaningful stream of decisions and actions which affect all aspects of their lives. Usually the individual does not realize that the representational system he or she has developed is merely an abstraction based on a limited sampling of personal experiences. That is, there is no direct correspondence between reality as it is perceived by the individual and reality as it actually is. This is assuming that reality can be known, which is itself another thorny philosophical issue. The value of the representational system is thus not a function of its truthfulness or, if you will, faithfulness as a mirror of reality, but rather of its usefulness in successfully guiding one on his journey through life. 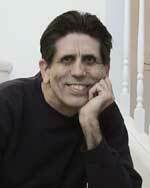 Some peoples’ views of reality evolve over their lifetimes while others become hardened and resistant to change. An appreciation of the fact that our understanding of the world around us is nothing more than an abstraction based on the sum of our subjective perceptions can be of value as it allows us a greater tolerance of different beliefs held by others and a continuing capacity for constructive change in ourselves. 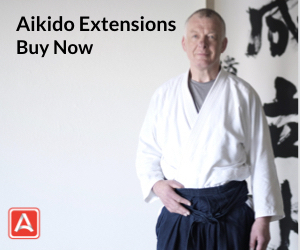 Returning to aikido, the attitude that one’s teacher is the supreme exponent of the art has many undesirable consequences. First of all, it creates an “us versus them” competitive mentality which, to my understanding, is antithetical to the spirit of harmony at the core of aikido thought. Moreover, one who holds an absolute belief in the greatness of his teacher is on precarious psychological footing since the eventual discovery or exposure of human weaknesses in the teacher may be totally denied by the believer, or if accepted, lead to severe emotional shock as the figure of adulation tumbles from his pedestal. I have seen several cases, which I regard as sadly ironic, where true believers float from dojo to dojo, each time expounding the superiority of their current teacher. 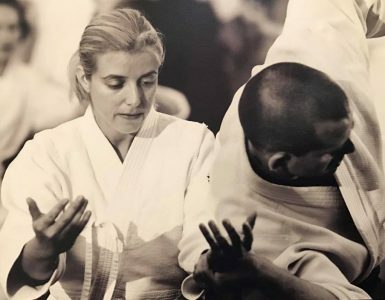 Another undesirable consequence awaiting groups that display this mentality is that their extreme attitude and intolerance of other approaches tends to isolate them from the general aikido community. They find themselves distanced from their peers much in the same way as aggressive exponents of various religions find themselves isolated in society. 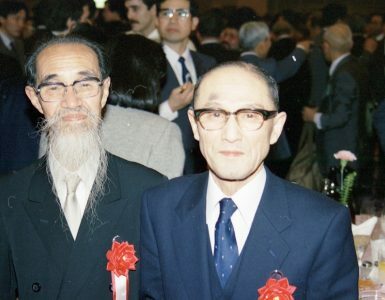 In conclusion, I am reminded of an article I read sometime ago where the writer expressed the belief that “Morihei Ueshiba is undoubtedly the greatest martial artist of all time.” This opinion was voiced in all seriousness and served as the basis to demonstrate the validity of the author’s other assertions. Hidden in this ridiculous statement are a whole host of assumptions that are improvable. What we can glean from such an utterance is actually information about the beliefs and psychological state of the writer rather than any understanding of the martial prowess of aikido founder Morihei Ueshiba. Does the writer have direct knowledge of all of the great martial artists of all times in all cultures? Does he have a valid system of measuring martial strength in such a way as to allow a comparison among the many masters? To what attributes does “greatest” refer? Quite obviously, no one could ever make such a claim without being considered an all-knowing being. If fact, anyone actually capable of making such a statement would have to be regarded as greater than his teacher since we would have to grant him god-like powers of omniscience if we were to take his opinion seriously! 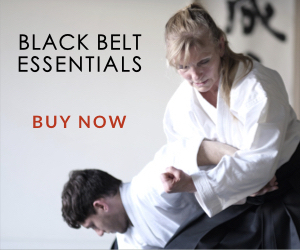 Martial arts in a state of decline? My hope is to study Aikido in whatever style and through this improve myself. I wish all students the best on their particular journey, no matter what the style.